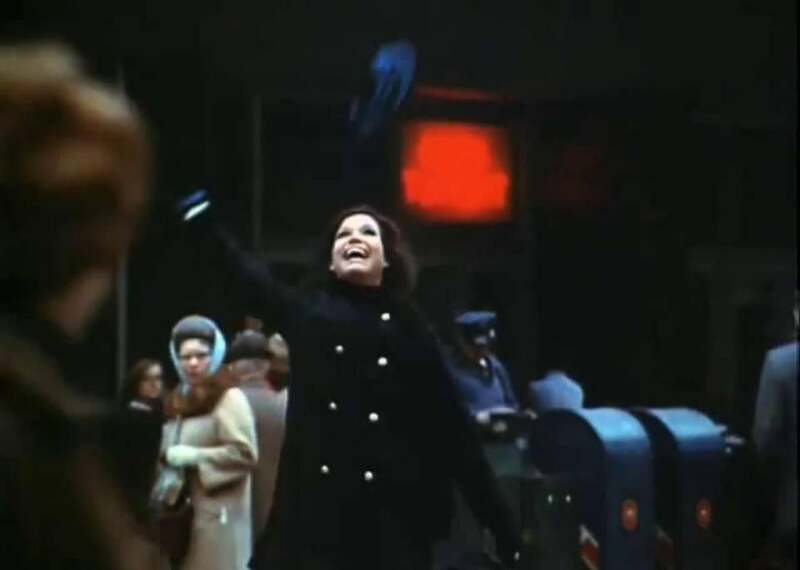 Mary Tyler Moore made me want to be a working woman. For some ’70s chldren, The Mary Tyler Moore Show made being a single woman with an apartment and a job seem like the most fun and interesting thing in the world. For me, The Mary Tyler Moore show was like a glimpse of what the best of adulthood might be like: to live in your own apartment with a big wooden initial on the wall, with your best friend right upstairs; to have a job in a real office, wear glamorous but practical outfits (I mean, come on) and do interesting work with funny, warm, sometimes crabby but ultimately lovable people. Who could want more than that? It never occurred to me that Mary Richards was lacking a man or living through any sort of temporary phase. Even though her crises of self-confidence, professional, romantic, or otherwise, made for the plot of many an episode, Mary’s self-sufficiency was to me axiomatic and central to what made her represent, to my under-10 self, pretty much the pinnacle of what could be expected from life. Just last night, while putting my own 10-year-old child to bed—that sounds lovely and maternal, but in truth the task mainly consists of prodding her to brush her teeth faster—I was singing the theme song to The Mary Tyler Moore Show—the real version, the one whose lyrics (also by Curtis) stop condescending to Mary Richards and start encouraging her: “Who can take a nothing day/ And suddenly make it all seem worthwhile?/ Well it’s you girl, and you should know it … You’re gonna make it after all.” (I had just read the headlines that Moore was in the hospital, and she was in my thoughts. Plus, it’s an extremely catchy song.) When I heard that she had died at the age of 80, I sang it some more and played several cover versions, including the great one by Husker Du. It was in the process of this grief-related research that I learned about the discarded early version of the theme and started to think about how what I now recognize as the show’s feminism must have impressed me as a child. When Mary Richards first came to the small screen in 1970, that shift in tone, from “How will you make it on your own?” to “You’re gonna make it after all,” must have been an important one for working women watching the show. But luckily for my still-forming brain, it was only the second version—with its affirmation of adult female independence and professional success as a state not of scarcity and loneliness but of abundance and joy—that remained. For that, on behalf of all the little girls who grew up watching Mary Richards, I give thanks to Mary Tyler Moore. Read more in Slate about Mary Tyler Moore.